Did you know 50-by-50 square foot lawn produces enough oxygen for a family of four? And that the particles of soil absorb and filter dirt, carbon dioxide and sulphur dioxide, reducing pollution. Rainfall catches particles of atmospheric pollution, carrying it onto the turf, where it is filtered far down into the soil. The water too soaks into the groundwater where it nourishes the grass. The compactable soil structure under turf can reduce noise pollution by an amazing degree. The sound of motorways has been shown to be reduced by 8-10 decibels by lawn turf. 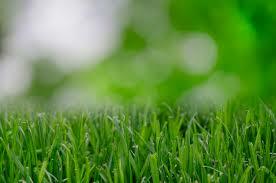 A carefully maintained lawn can therefore reduce sound from roads, neighbours or other sources around your home. Turf can absorb an incredible amount of rainfall, and with care waterlogging can be easily avoided, preventing damage to your grass. Maintaining a lawn not only improves air quality in your local area, but can protect gardens & homes from flooding. Paved, concreted or artificial gardens have been found to contribute to ride in cases of flooding in residential areas, with runoff rain directly adding to urban floodwater. Believe it or not, turf boosts our immunity. The microbes below the surface can fight bacteria and prevent infection- comparative studies show artificial grass is far more likely to cause infection and harbours bacteria beneath the surface. Microbial organisms boost our immunity while also reinforcing our bodies’ natural defences. Unlike synthetic grass, natural turf absorbs heat from the sun- reducing temperatures above by up to 14 degrees! 50% of the sun’s rays can be soaked up by a well-maintained lawn. Homes surrounded by well-maintained lawns can be cooler and more comfortable in hot weather, and are also more pleasant to relax on in summer.